Mainz - The Bundesliga title may have eluded FC Bayern München for the time being despite their battling 2-0 win away to 1. FSV Mainz 05 on Saturday, but according to Arjen Robben that was immaterial to the soon-to-be-crowned champions. Question: Arjen Robben, what title celebrations did you have planned for the Mainz game? 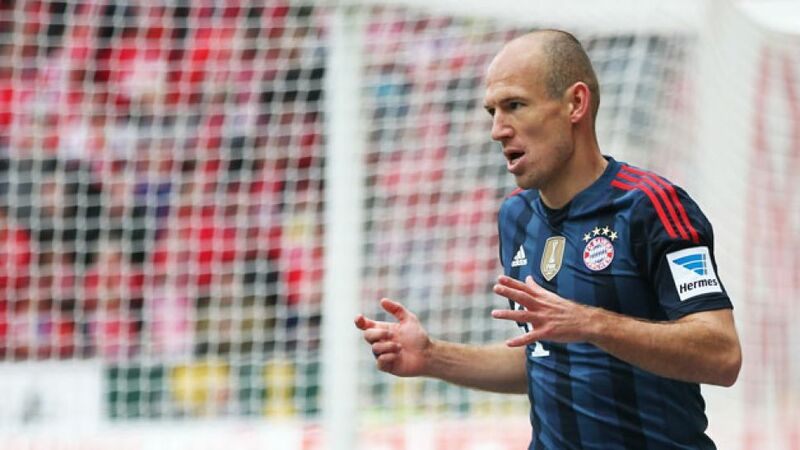 Arjen Robben: I don't know if we had anything planned. The players didn't give it a thought, especially as we weren't actually going to get our hands on [the Meisterschale] today. We were depending on results elsewhere, too. Question: Is anything planned for if it happens on Tuesday in Berlin? Arjen Robben: No, but on Tuesday it's in our own hands whether or not we're crowned champions. Of course we want to make if happen and definitely want to win. Arjen Robben: Yeah, hats off to them. We expected them to attack, but it was still pretty tough. They ran like crazy in the first half, which played into our hands after the restart when we took control of the game. Arjen Robben: It could have ended goalless, but it was a really good test for the game against Manchester United [in the quarter-finals of the UEFA Champions League], especially the first half. Mainz played really aggressively and with five at the back in the second half, which didn't make it any easier. They played two completely different games in the first and second halves, but it was definitely a good test ahead of the United game. Question: How was it playing against Mainz's five-man defence? Arjen Robben: In the second half it was all about finding gaps in their defence. Fortunately, we were able to do so in the end. Arjen Robben: Of course it's always special when you win the championship, but I'm not sure about celebrations as such. We've still got more to play for and are involved in the Champions League a week later. That's really important to us.